The new comet photos from the Rosetta spacecraft, a European Space Agency probe, show Comet 67P/ Churyumov-Gerasimenko in an incredible new light. The comet is beginning to spout more jets as it makes its way toward the sun for its closest approach in August. Rosetta was about 17 miles (28 kilometers) from the center of Comet 67P/C-G when it took the amazing photos, and now, the spacecraft is about to embark on a different kind of orbit that will bring it even closer to the comet’s surface. 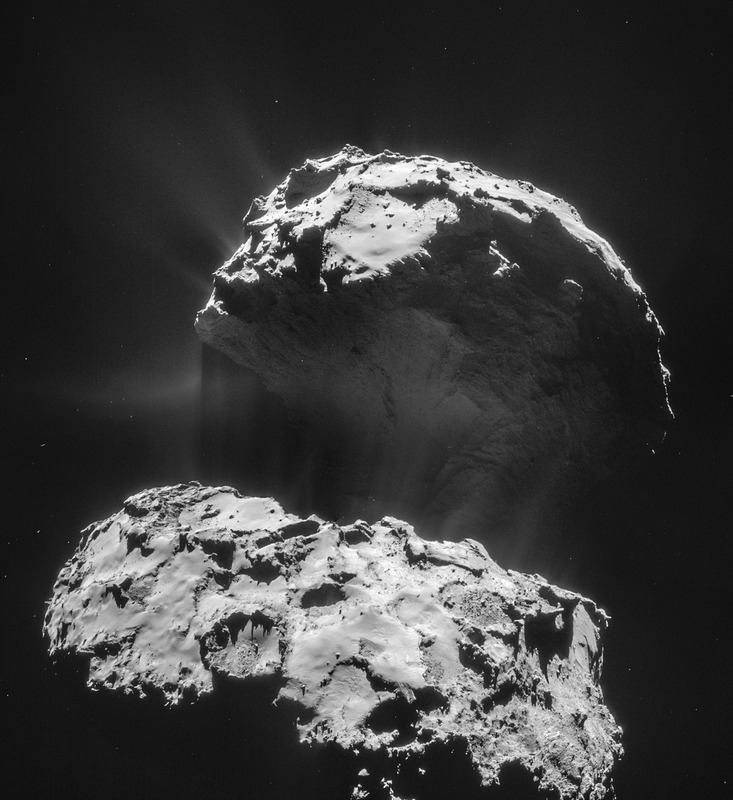 “On 4 February, Rosetta moved into a new operating phase characterised by a series of flybys past 67P/C-G at a range of distances, the first of which will be the very close encounter planned for next weekend, when Rosetta will pass just 6 km from the surface of the comet on 14 February,” ESA officials said in a blog post. The specks surrounding the comet are “noise” in the image including bits of dust and debris sloughed off by Comet 67P/C-G while it flies through space, ESA officials said. In November, Rosetta dropped its Philae lander onto the surface of the comet, marking the first time humans have ever soft-landed a probe on a comet’s surface. 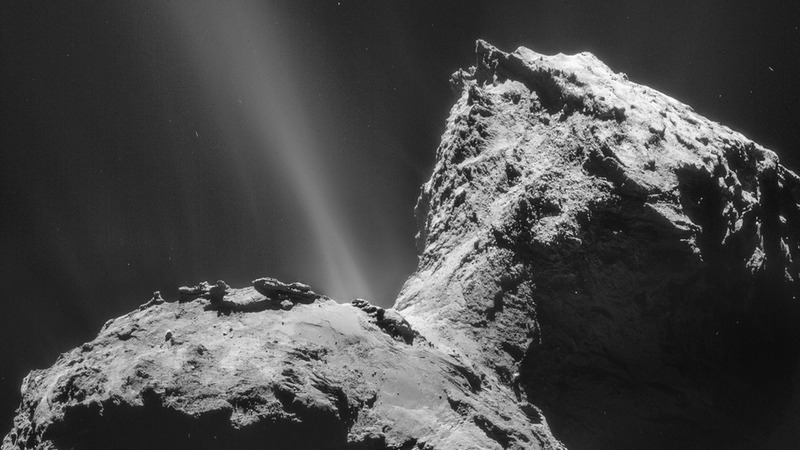 Philae made a bouncy landing, eventually coming to a rest near a cliff in a shadowy part of the comet. Officials still aren’t sure where Philae is, but they hope it wakes up as the comet makes its way around the sun, heating and potentially providing more light for Philae in the process.